A cloud of smog covers Athens because of people choosing wood over more expensive fuels to heat their homes, following increases in prices of heating oil and the continuing economic crisis. A cloud of smog covers Acropolis hill and Parthenon temple, as seen late on Wednesday, Jan. 9, 2013. A cloud of smog covers Acropolis hill and larger urban area, as seen late on Wednesday, Jan. 9, 2013. 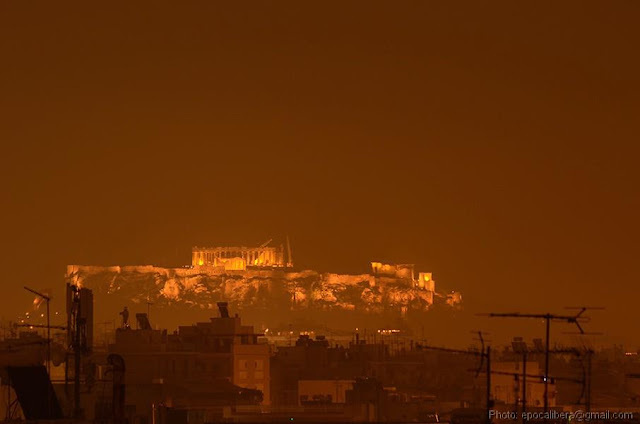 A cloud of smog covers Athens center, Acropolis and larger urban area, on a panorama taken early on Sunday, Jan. 6, 2013. 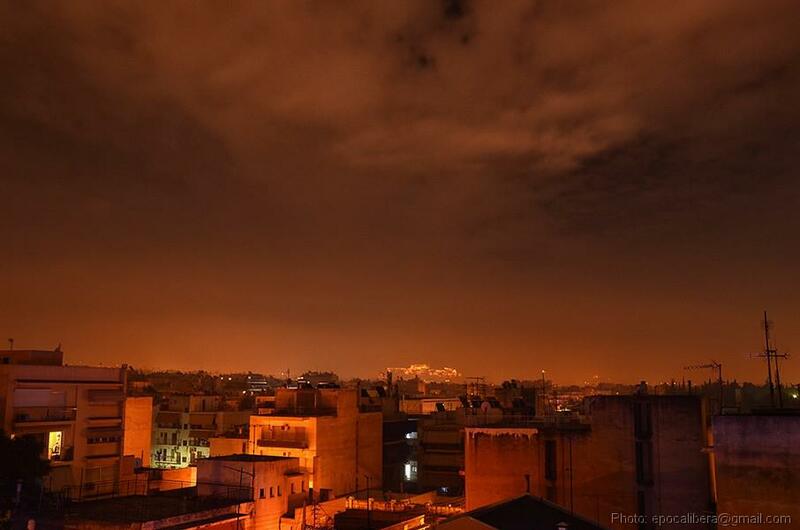 The smell of scorched wood covers the night sky of Athens, along with toxic smog. The cloud is the result of a massive switch to wooden stoves and fireplaces for heating.